This year I have scaled back my holiday baking since many people in my world just are not eating a lot of that sweet stuff these days. No one wants tight jeans. Tim and I chose to make some simple cut-out cookies instead. Of course, I turned a simple batch of cut out cookies into making SEVERAL flavors of dough plus icing in a zillion colors. 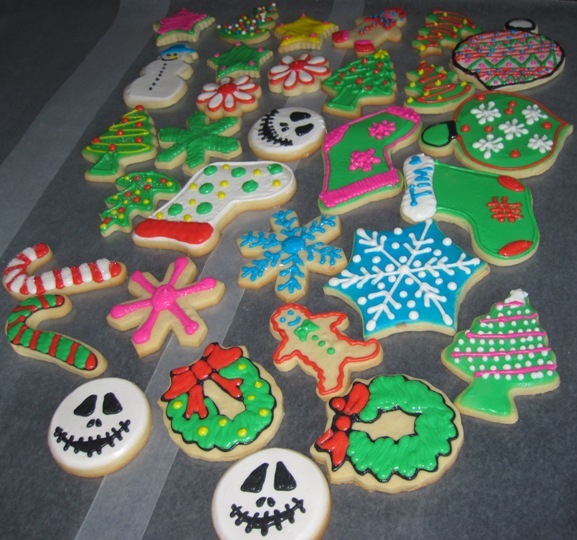 Then we spent most of an entire day rolling out, cutting out, baking and decorating 11 dozen cookies. My husband is a cookie champ. (True story.) It was a nice festive way to spend the day with each other. 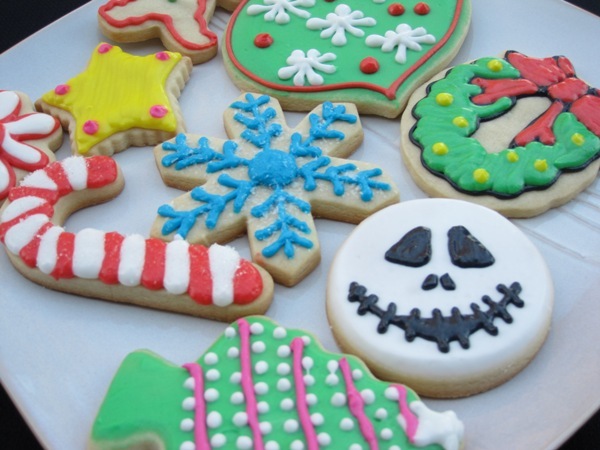 So today I am going to share the sugar cookie and icing recipe with you. Maybe you want to spend a day in the kitchen with your favorite loved one and make enough cookies to guarantee Santa is so full he passes out in your living room on Christmas Eve. Gotta try and catch that cat burglar somehow. 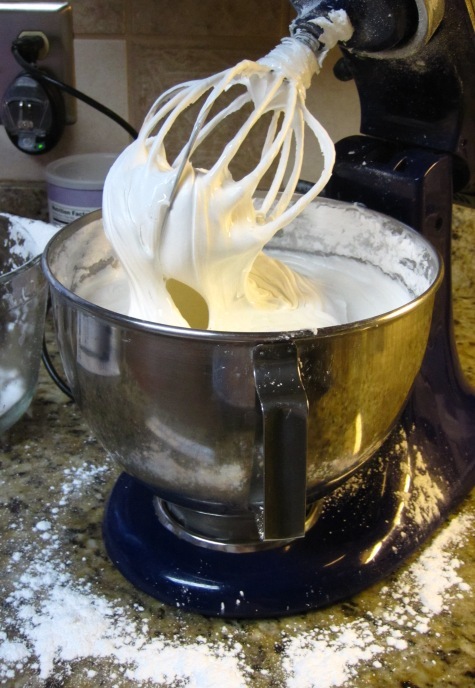 In a stand mixer combine the water and meringue powder at low until combined. Then turn the speed up to high and whip until stiff peaks form. The mixture will double in size as it whips. It takes about 8 or 9 minutes. SLOWLY mix in powdered sugar a cup at a time. It seems like a lot (and it is) but it will absorb the meringue and condense down a bit as it mixes in. After all the powdered sugar is incorporated add the corn syrup, vanilla, almond and shortening. The icing will become smooth and shiny as it mixes. You can color it however you like. I recommend using the food coloring gels you can find at Michael’s. Wilton brand. They make very intense colors and you don’t need to use much. I usually divide the icing in to several bowls and make several different colors. If you want the icing stiffer you can add powdered sugar a little at a time until you achieve the right consistency. The same is true if it is too thick, add a teaspoon of water at a time to thin it out. DO NOT REFRIGERATE THIS ICING. It will get very hard and will be impossible to decorate with. It can sit in an airtight container at room temperature for a week. 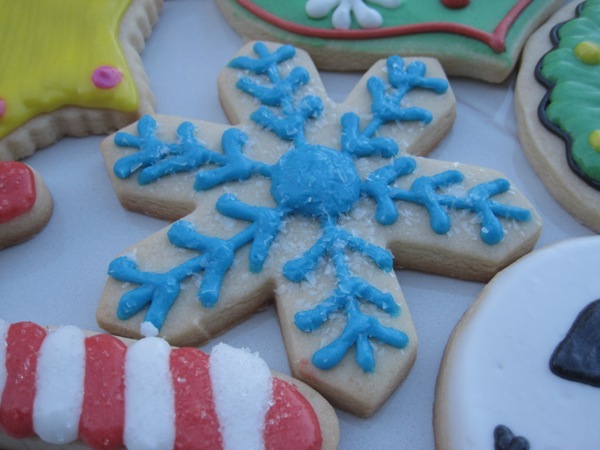 If you have extra after decorating your cookies it freezes well, just let it come to room temp before trying to use it later. I doubled the icing batch since I was making a lot of cookies. . .but it was too much for my mixing bowl to handle. It was a giant mess. I don’t recommend it. In the bowl of a stand mixer cream the butter until pale yellow. SLOWLY incorporate the powdered sugar. (It will make a big mess if you try to add it too fast) Add the egg and vanilla and almond. Carefully add the flour and the salt and mix until the dough has come together. The dough will be thick. Wrap the dough in plastic wrap and refrigerate for at least 20 minutes. I prefer to let it sit in the fridge overnight. (Most cookie doughs are better if they have a night in the fridge before you bake them.) You can refrigerate the dough for several days if necessary or even freeze it for a few month, just make sure you let it come to room temperature before you try to roll it out or it will just crumble. 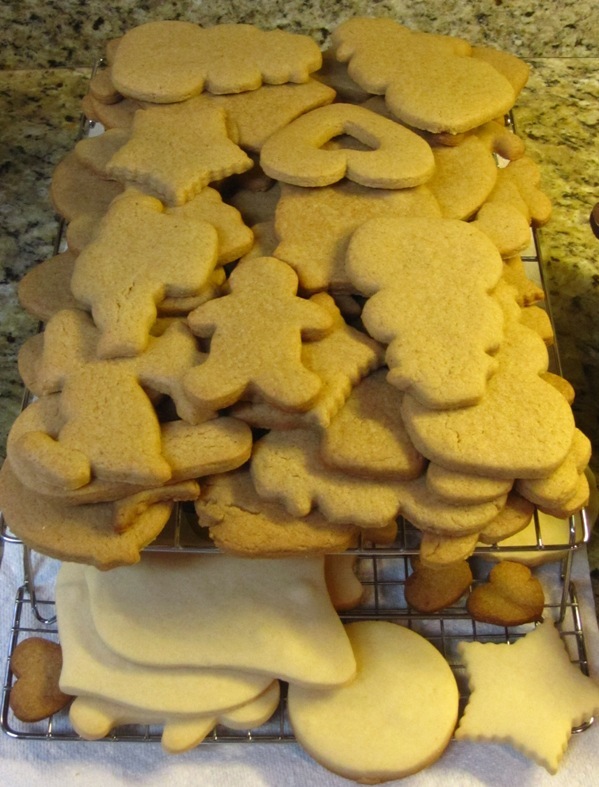 Roll to about 1/4 inch thickness and use your favorite cookie cutter to cut out your cookies. Bake on a parchment lined baking sheet in a 350 degree oven for 15-18 minutes depending on how big your cookie cutters are. 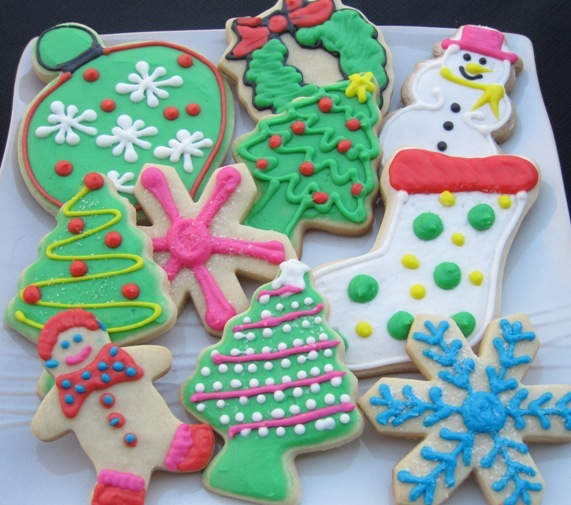 Enjoy your holiday baking. . .or your time on the couch watching Clark Griswold! I’m telling you, you guys need to open up a place and bake and cook and get paid for it!